Virat Kohli will lead an experienced squad in their bid for a World Cup title. 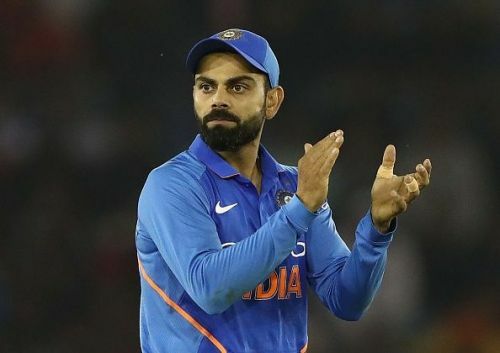 Virat Kohli (c), Rohit Sharma (vc), Shikhar Dhawan, KL Rahul, Vijay Shankar, MS Dhoni (wk), Kedar Jadhav, Dinesh Karthik, Yuzvendra Chahal, Kuldeep Yadav, Bhuvneshwar Kumar, Jasprit Bumrah, Hardik Pandya, Ravindra Jadeja and Mohammed Shami. Virat Kohli, Rohit Sharma, Shikhar Dhawan, MS Dhoni, Bhuvneshwar Kumar, Mohammed Shami and Ravindra Jadeja are the only players from the 2015 World Cup squad. The 2019 squad is an experienced one that has most bases covered. KL Rahul has been selected as a back-up opener to Rohit Sharma and Shikhar Dhawan, and can play in the middle order too if needed. Dinesh Karthik has been selected as a back-up wicketkeeper to MS Dhoni. Vijay Shankar appears to be the back-up pace bowling all-rounder to Hardik Pandya, but the selectors have said that he will bat at No. 4, at least for the first few games. The selectors have decided to go with Karthik over Rishabh Pant owing to the former's experience in pressure situations and superior wicket-keeping skills in the limited overs formats. However, he is only likely to play should Dhoni suffer an injury. The decision seems unfortunate on Pant, who is widely recognized as Dhoni's successor in the limited overs formats. But inexperience and less-than-ideal wicket-keeping skills have counted against his favor, despite his hard-hitting capabilities. Ambati Rayudu was dropped from the ODI squad after a horrible series against Australia. He will feel hard done by after a stellar 2018 in which he averaged 56 from 10 innings and appeared to be the solution to India's No. 4 problem. A poor 2019 in which he averaged 30.88 from 10 innings appears to have gone against him. While the statistics are not in favor of KL Rahul's selection - he currently averages 34.3 in 13 innings - his versatility and strike rate (as seen in T20 cricket) lend him an advantage over other possible options such as Ajinkya Rahane, who has had issues with his strike rate and approach during the middle overs. The decision may seem harsh on Rahane, who impressed as a backup opener in 2017 with an average of 48.83, was then tried at No. 4, and discarded after that. India's bowling will be led by Jasprit Bumrah's pace and death bowling capabilities. 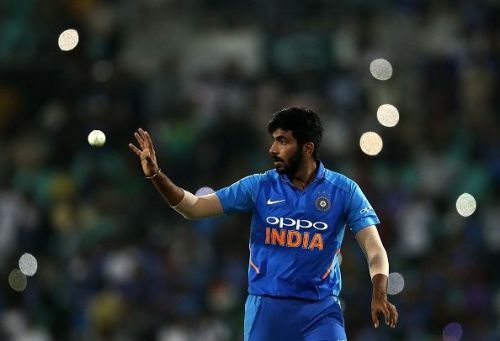 In an unexpected move, India have gone with only three specialist fast bowlers in Jasprit Bumrah, Mohammed Shami and Bhuvneshwar Kumar, and two pace-bowling all-rounders in Hardik Pandya and Vijay Shankar. With two of Bumrah, Shami and Bhuvneshwar expected to play in every match, and Shankar and Pandya more batsmen than bowlers, a backup fast bowler would have been ideal for this squad. It can also be read as a damning indictment of all the options considered. Umesh Yadav, Khaleel Ahmed, Shardul Thakur and Siddarth Kaul were all tried, but none of them impressed enough to be selected. Kuldeep Yadav and Yuzvendra Chahal are the main spin bowling options, having formed an effective and threatening bowling partnership. Whether they both play in the same XI or not comes down to conditions, with Kedar Jadhav capable enough to play as second spinner should the need arise. Kuldeep appears to be the primary spin bowling option in the XI. Ravindra Jadeja is the back-up all-rounder, spinner and fielding substitute for the team. While he has not impressed enough with the bat or ball in recent times, his fielding and the threat of his bowling on drier tracks have kept him in contention. This is a strong squad that can contain up to seven bowling options in the XI for Kohli, Rohit, and Dhoni to strategize with. But the flimsiness of the middle order is a concern, with the bulk of the runs expected to come from Kohli, Rohit and Dhawan. How they use Kuldeep throughout the tournament will also be crucial. England showed last year that he can be easily strategized against if opposition players see enough of his bowling. Prediction: India should make the final; anything less will be a disappointment.